I feel like I should be an expert at teaching children to read now I’m on my third child to start school, but the reality is that my children are all very different and so I’ve had to use different techniques with all of them. My biggest challenge with my littlest is lack of time. When my eldest was learning to read we didn’t have so many after school clubs and things we’re generally calmer. These days we dash all over the place, meaning our time to concentrate on school work is generally very limited. 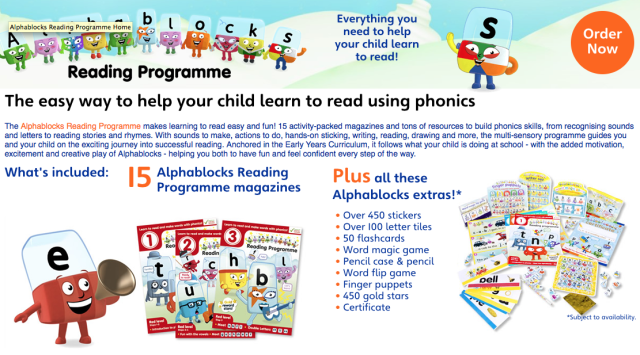 The Alphablocks reading programme has been fantastic for us because we’ve been able to dip in and out. 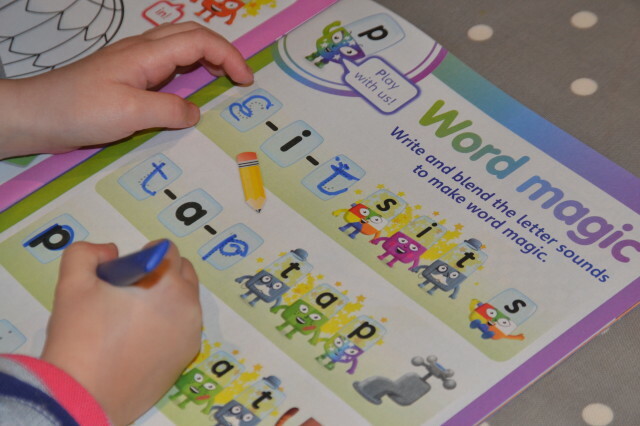 H can do a few pages while her brother and sister practice spellings or times tables, and she loves it because she feels grown up, and the magazines are fun, visually appealing and really hold her attention. 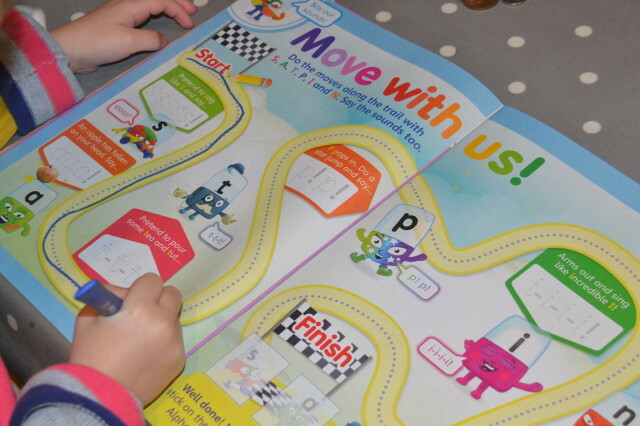 The magazines are full of varied activities brilliant for building phonic skills. I’ve found the scheme has really complemented what H has learned in school and she’s become very confident at blending sounds together to read the words, and is now very enthusiastically trying to write as well. Each page of the magazine is different, so they are much, much more fun than the usual workbooks you can buy. H especially loves the reward stickers and colouring sections. As a parent I’ve found the magazines very easy to fit into our daily life. I love the little tips along the way with instructions for how to say the sounds. We’re really looking forward to pack 2 and would definitely recommend Alphablocks, it really is fantastic value for the amount of resources you get over the three packs. We received the learning programme free of charge for the purpose of this review.